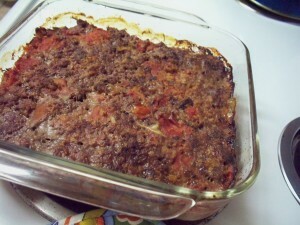 This recipe came out of creative necessity, probably as meatloaf itself likely originated. I had a pound of ground bison and no interest in making chili or burgers. It turns out that in the recesses of our minds, all of us probably know how to make meatloaf. 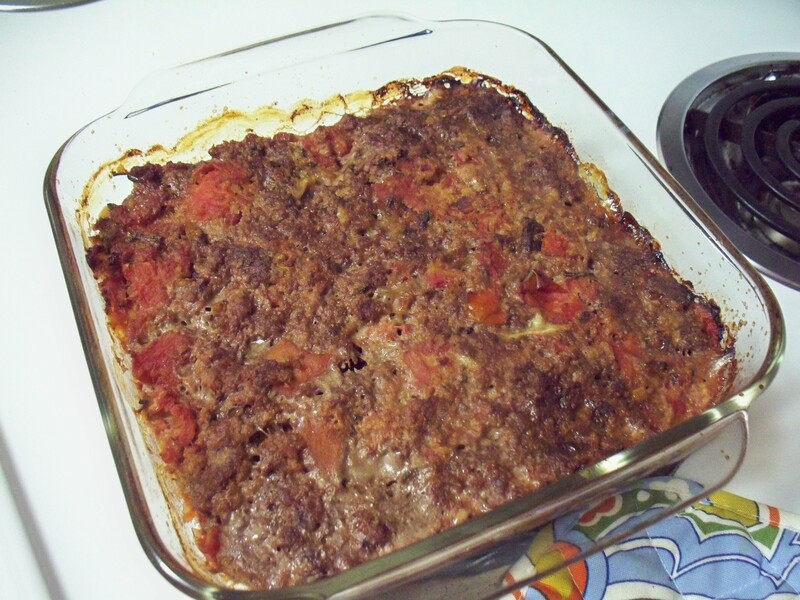 Because when I stood before my refrigerator and thought, “What goes in meatloaf?” my hands confidently grabbed the onion, egg, breadcrumbs, worcestershire and tomato paste. I believe a 1950s housewife secretly lives in all of us—or at least me—because there is no other logical explanation for my meatloaf prowess. Obviously. As a bonus, by trading beef for leaner bison, the fat and calorie counts go down and the health quotient goes up. Eliminating some of the fat allowed me to add bacon, which makes everything taste even better, duh. An easy way to pack in a lot of protein? Sign me up. 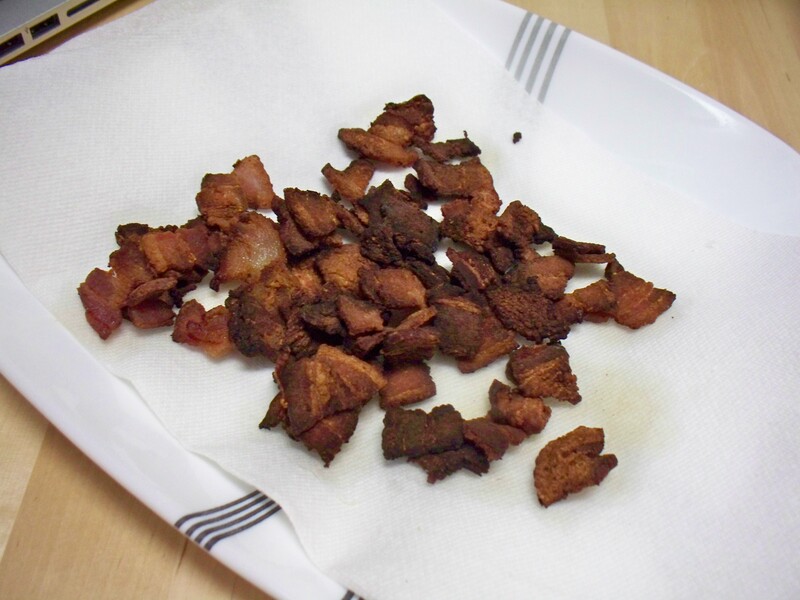 Cook the bacon bits in a large skillet until they are crisp. Drain on paper towels, leaving the fat in pan. Cook onion and garlic in the bacon fat. Roughly chop or crumble the cooked bacon into various sized pieces so some are chunky and others are fine. Transfer the onion mix to a large mixing bowl (using a slotted spoon to leave any excess fat in the pan). 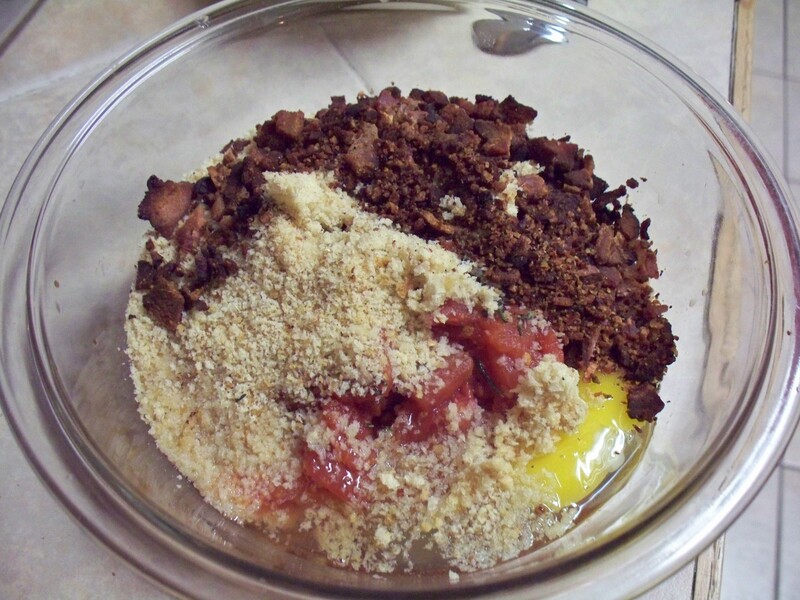 Add all ingredients to the bowl. Stir to combine but don’t over mix. Spray a glass baking dish with cooking spray and spread the mixture into the dish. Cook at 350 for 45-55 minutes or until cooked through. I hope yours turns out as delicious and juicy as mine did! 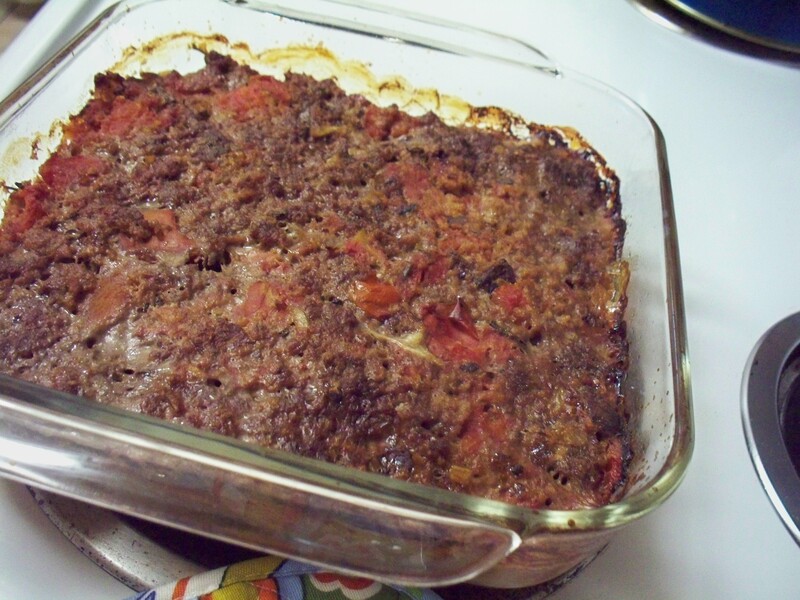 bacon, bison, cold weather dishes, leah charney, tomatoes. Bookmark the permalink. Post a comment or leave a trackback: Trackback URL. I like to bake my meatloaf in a muffin tin. Meatloaf muffins. they look good on the plate, take less time to cook through, serving size already determined. Also, I have tried making it with stuffing mix instead of bread crumbs, which got a thumbs up in my house. Happy meatloafing. I have seen the muffin tin idea with stuffing but not with meatloaf. Love the idea of single serving sizes pre-made as it makes for an easy lunch tomorrow! I’ll have to try it next time I make this recipe. Thanks for the tip!